Laetitia is having a good summer holiday in Carqueiranne now. We came here on the 1st and Etienne and I left today while we left Laetitia behind to enjoy herself further. Well, actually I was feeling a little anxious this time since when I tried explaining to her yesterday that papa and mummy are going back to Paris and she will be staying with her papou and mamou, she looked a little sad and said she wants to go to Paris with us too. But I know she will have lots of fun with my in laws and her cousin Alexandre. She will stay until the 23rd but Etienne will be joining her on the 18th. I will have some personal free time from 11th to 23rd and before that, Etienne and I will take a little romantic holiday to Prague and spend some time in Paris. 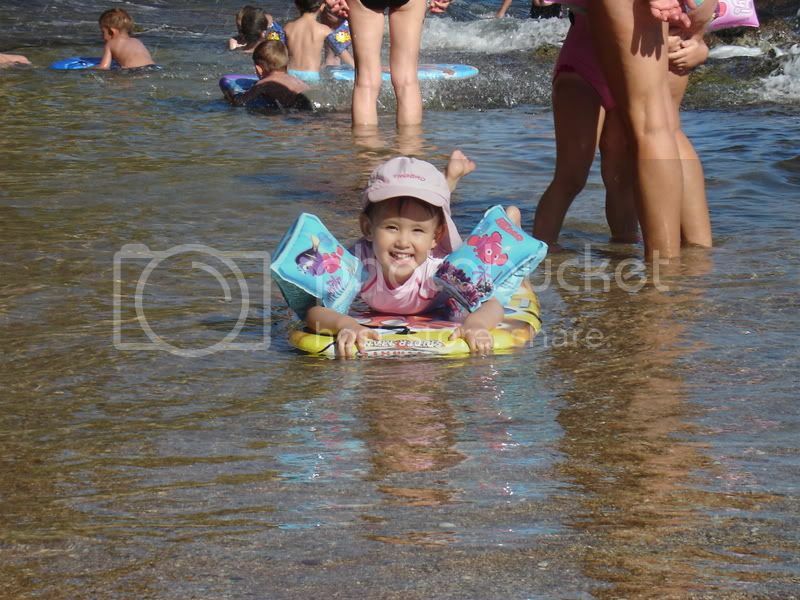 One of Laetitia's favourite thing to do here is to swim in the sea, check out how happy she is! She is getting rather tanned considering that she goes to the beach everyday and sometimes TWICE a day. Lucky girl.